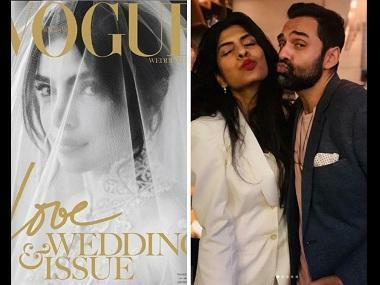 Priyanka Chopra is on the cover of Vogue India's January issue. In the interview, she is asked to describe Nick Jonas in three words. Being her witty self, she responds to it by saying “Husband, calm, extremely loving.” The couple married in a lavish multiple-day ceremony at Jodhpur’s Umaid Bhawan Palace hotel in December. After celebrating New Years in the Swiss Alps, the couple is off to a romantic getaway to the Caribbean. Actress Manisha Koirala's cancer journey has been an inspiring one, and now, the actress has chronicled the story of her survival in a book. On Tuesday, her colleagues from the film industry such as Shekhar Kapur, Anupam Kher, Jackie Shroff, Rekha, Bhagyashree, Mahesh Bhatt and Gulshan Grover gathered to launch her book, titled Healed: How Cancer Gave Me a New Life. The trailer launch of Gully Boy was held at a Mumbai hotel. Leading actors Ranveer Singh and Alia Bhatt took to the stage to unveil the Gully Boy trailer. Director Zoya Akhtar, producers Farhan Akhtar and Ritesh Siddwani also attended the event. Singh's orange bandana and green rimmed shades perfectly complimented Bhatt's orange boots. 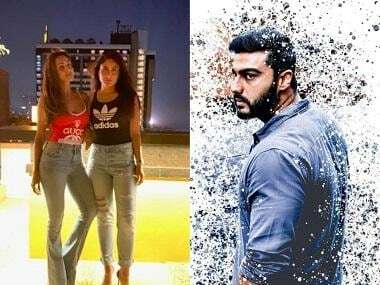 Hours after signing up as the lead in a dance film, Shraddha Kapoor has already begun rehearsing for the film’s songs and dance sequences with Varun Dhawan and director choreographer Remo D’Souza. In a social media post, she posted a picture of shoes to mark her return to rehearsals.